Bristows School was probably the first all age school in Charlwood. It was built in approximately 1620 by the Rector. The Schoolmaster had to teach two poor children free of charge. Bristows was still in use as a school 250 years later but by this time there were two other schools. In about 1840 Michael Clayton, the Lord of the Manor, had a school opened opposite Charlwood Place Farm. This became the Boys’ School and in 1852 the Girls’ and Infants School was built. We now know this building as the Parish Hall. On 10th June 1913 this present building, the new Council School, was opened with 149 scholars on roll. By that time education was both free and compulsory. The School became a Primary School for pupils aged 5 to 11 years on August 31st l948 with 82 pupils on roll. In September l975, when it became a First School for children aged 5 to 8 years, there were 64 children on roll. 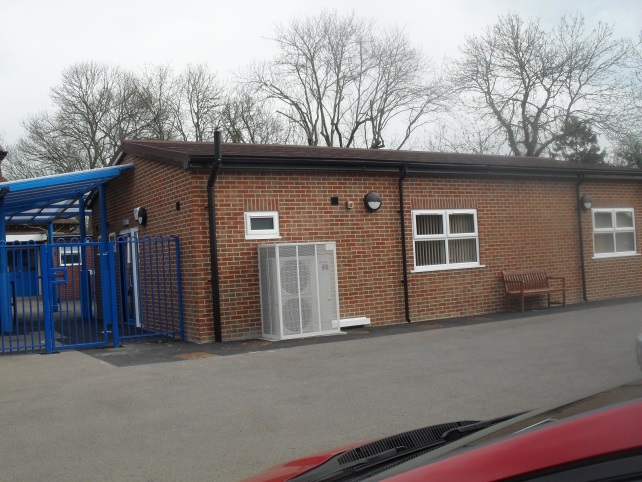 Under Surrey’s Change of Age of Transfer, Charlwood became an Infant School for pupils aged 4-7 years in September 1994. From September 1999 Charlwood has been re-classified as a Community School. As well as drawing children from the local areas of Charlwood and Hookwood the school attracts families from Horley, Reigate and Crawley. 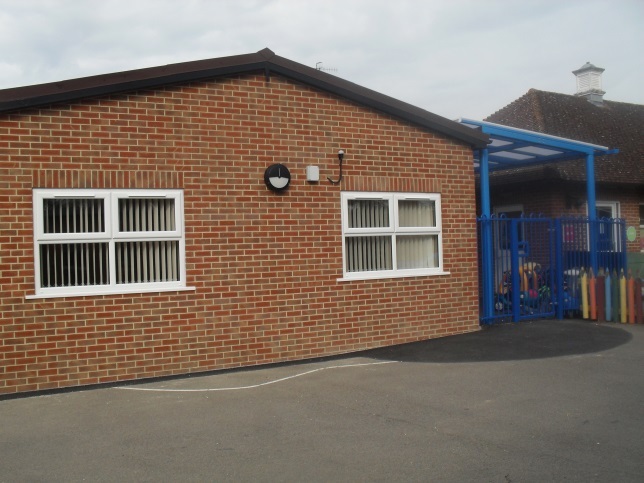 The School has three good sized classrooms, a library and reading area, and a hall where we hold assemblies and carry out P.E. The children eat their midday meal in a separate dining hall, and many eat a freshly prepared meal which is cooked on the premises. Besides the large playground, the school has a patio area outside the Early Years class accessed through the recently added conservatory which was constructed to provide an 'outside' covered play area. We have an environmental area, pond and garden adjacent to the school field which the children use for play and environmental work. Within the pond area we have a bug hotel which provides a habitat and protection for a variety of insects and creatures. We built a 'Willow Dome' in 2007 on the school field which provides a quiet area when children are on the field during good weather. We have also added an orchard within the environmental area. In 1994 the old currugated 'shed' that acted as our dining room was demolished and a new brick built dining room was constructed. During the Spring Term 1999 the main building was joined to the Dining Room by a link. This includes a cloakroom area which is in addition to the existing internal toilets, washrooms and cloakrooms as well as wheelchair access. In September 2007 work began on new adult cloakrooms within the Link. Our current Year 2 classroom was extended and redecorated ready for September 2009. In 2010 we added 'pencil fencing' to provide a designated and secure outdoor area for our current Year 1 class. In 2010 we also updated our ICT provision with laptops available in every class which the children are now using to support the different areas of the curriculum. During 2011 work began on our new library area. Our old library area was torn out during 2011 and a new Library put in. Our new Library consists of many more shelves than we had before as well as a seated table area and a mat with bean bags to relax on. We have a new Librarian computer system that keeps tracks of all our books and children scan in and out the books that they read. 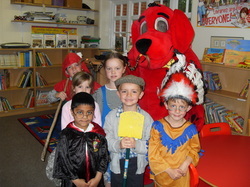 The official opening of our library was in May 2012 when Clifford the Dog visited us during our Book Week. In September 2013 the the number of pupils coming into the school halved in order to start the process of becoming a half form entry primary school. In July 2015 the last class of children to leave at Year 2 finished and in September 2015 we had our first Year 1 and 2 mixed class. The school was at its lowest number of 45 pupils in 2015/16 but from September 2016 begins to grow again by increasing by 15 pupils each year until September 2019 when it becomes a full half-form entry primary with 105 pupils. We had one classroom built in November 2015 as part of the school expansion.